Because palpating colonic tumors during laparoscopy is impossible, the precise location of a tumor must be identified before operation. The aim of this study was to evaluate the accuracy of various diagnostic methods that are used to localize colorectal tumors and to propose an adequate localization protocol for laparoscopic colorectal surgery. A total of 310 patients underwent laparoscopy-assisted colectomy between April 2000 and March 2006. We investigated if the locations of the tumors that were estimated preoperatively were consistent with the actual locations according to the operation. All the tumors were correctly localized and resected. Altogether, 203 patients had complete endoscopic reports available. Colonoscopy was inaccurate for tumor localization in 23 cases (11.3%). In total, 104 patients (33.5%) underwent barium enema; five tumors (4.8%) were not visualized, and three tumors were incorrectly localized. Another group of 94 patients (30.3%) underwent computed tomography (CT) colonography, which identified 91 of 94 lesions (96.8%). Finally, 96 patients (31.0%) underwent endoscopic tattooing; 2 patients (2.1%) did not have tattoos visualized laparoscopically and required intraoperative colonoscopy to localize their lesions during resection. Dye spillage was found in six patients intraoperatively, but only one patient experienced clinical symptoms. Intraoperative colonoscopy was performed in four patients; two of the four were followed by endoscopic tattooing, and the other two underwent intraoperative colonoscopy for localization. All lesions were correctly localized by intraoperative colonoscopy. The accuracy of tumor localization was as follows: colonoscopy (180/203, 88.7%), barium enema (97/104, 93.3%), CT colonography (89/94, 94.7%), endoscopic tattooing (94/96, 97.9%), and intraoperative colonoscopy (4/4, 100%). 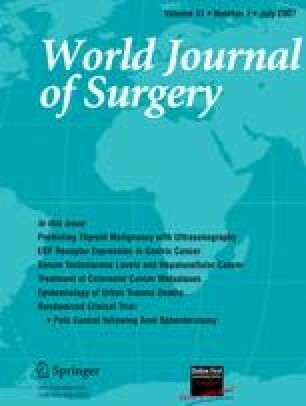 With a combination of methods, localization of tumors for laparoscopic surgery did not seem very different from that during open surgery. Preoperative endoscopic tattooing is a safe, highly effective method for localization. In the case of tattoo failure, intraoperative colonoscopy can be used for accurate localization. The authors thank Jee Hye Kim and Ji-Eun Sim for their assistance with data collection.